In spite of a pizza before bed last night (and the night before) I’m still down 2.2 lbs from last week with a weight of 267.6 and have an average weight for February of 272. It is an odd and different situation to find myself “underweight” according to these DietBet games. 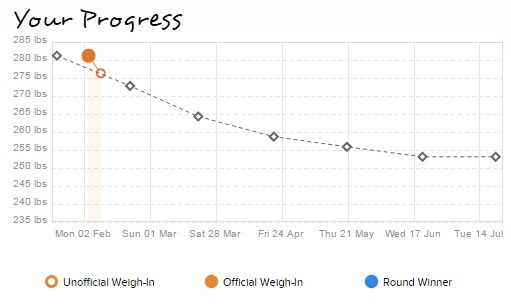 The only real reason I have for not letting myself drop too much is because of another one month long 4% diet bet challenge which starts on February 28th …and …holy cow – I just checked that game and it looks like the initial weigh in is …NOW. I have between today and the 28th to weigh myself in for an initial weight. My unique weigh-in word is FOOTBALL. I like that 🙂 I don’t have time before work to take care of this but, it looks like I’ll need to drop another 10+ lbs or so between that initial weigh in and March 27th. That will put me down to 257 lbs. These weight drop goals are pretty small and it does look like I’ve had 5 consecutive weeks of dropping weight. In previous 12 week “mad dash” weight loss contest there are usually 3 times where my weight will go up or stall. I’ve updated my Running Log tab and have 17.5 miles of running in for the month. I also spent some time a few days ago updating my individual runs with some extra thumbnail pics. I do have those two 1/2 marathons coming up in April and I remember well, after my Lincoln Presidential Half Marathon last year my legs were totally spent after the 13.1 miles and had them packed in ice right after the run because there wasn’t any formal training before hand. I’m looking to avoid that this year and would also like to beat whatever time I got last year. 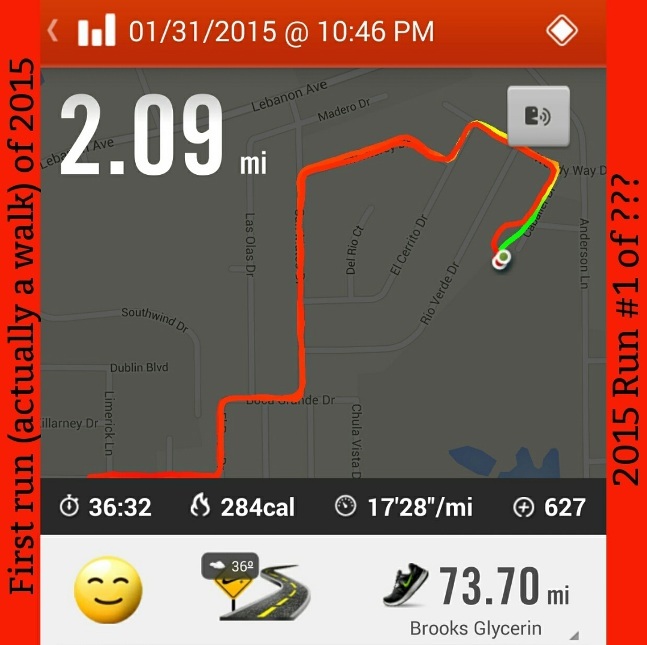 I did a 2.5 mile run yesterday and was testing out a new 1/2 marathon run strategy. In the past, I got one of my best (recent) times by chunking the race into 5 minute run/walk intervals. One great thing about jogging a minute or two every 5 minutes is being able to pass people throughout the entire race (assuming you start at the back of the pack which, I normally do) because nobody else jogs at all in the back of the pack, especially towards the end of the race. With this strategy, I am considering jogging the first and last mile and doing 5 minute intervals in the middle 11 miles. As I progress throughout the year, then I’m thinking I can increase the beginning and ending run times thereby minimizing the 5 minute interval times. For now, my goal is the same as last year – to simply finish a half in under 3 hours. (Calculator out…) 3 hours times 60 minutes per hour…. 180 minutes …divided by 13.1 … equals …13.74 minutes per mile or, about 13 min 45 sec per mile. I should be able to do this. I let myself jog at a more normal pace yesterday since I wasn’t trying to maintain my jogs for any great length of time or distance and that equated to speeds ranging from 5.8 to 6.2 mph or, about 12 minutes per mile. I’ll just need to keep aware of not letting my walking intervals get too slow. This past Sunday I was down to a low of 268.4 and Tuesday and Wednesday morning weighed as high as 273.8 lbs. Generally speaking, weight fluctuates like the stock market. Too many people get upset when they see their weight go up a pound or two and, as I alluded to in a blog I posted on DietBetter.com getting frustrated seems more like a necessary psychological ploy for many people which mainly serves to set up a plausible future reason for quitting an otherwise healthy lifestyle because the notion of a living a continued healthier lifestyle is too far out of their comfort zone. The only other noticeable change I made in my Weekly Weigh-In desktop wallpaper was the addition of a car in the upper right hand corner. It’s a 2005 Volvo S60 and has been ranked for several years in Kelly Blue Book (KBB.com) as one of the best affordable used cars and it’s the only luxury type car to make that list. Last years weigh-in wallpaper included a variety of cars such as the Corvette (’cause it’s cool) and the new model Camaro which was a car I traditionally never liked but did like the newer body style and was enamoured with the performance of 323 HP from a 6-cylinder engine 🙂 But, with close to 300,000 miles on my Saturn I really need a new car sooner rather then later. That Volvo has very good reviews and a trunk often described as enormous (13.9 cubic feet) which I also figured could be very useful for business. Right now, I’m at a tie in 2015 with 6 runs and 6 lifting workouts. I’ve modified my miles/weight table found over in my Running Log tab by including a column to keep track of the number of times I’ve been to the gym to lift weights. I’ve had a long time alternating relationship with Lifting, Running & Karate for a very long time – All three since 1982 and a challenge for me has always been to embrace all of them at the same time. Any one of the three is the easiest endeavor, and I’ve had fair results dabbling in two at a time and very little results trying to maintain all three of them at the same time. So, there may be a time when I put my weight at the very left column then Running, Lifting and Karate as the subsequent three columns to the right. Sometimes, I have fun with my Running Log tab and think I might add pictures of trophy’s from lifting, maybe karate certificates and small pics for the rest of my running medals. I don’t really have any cohesive place in real life where I keep all that stuff. If I look towards the ceiling in my garage, I can see a bunch of medals hanging from two old bicycle hooks in the ceiling and there are a few places in the house where medals are hanging. All my lifting trophy’s are gathering dust in the garage and the usual resting spot for any other kind of awards are boxed up in the floor of my spare bedroom. I suppose the Running Log tab could be a kind of virtual trophy case. Plus, there have been a number of medals or trophies that are either given away or end up breaking so it might be nice to have at least one picture of each for posterity’s sake. I’d also like to add my specific goals for the current year. I know I mentioned some reasonable improvements I wanted to make this year in a previous blog but sometimes I’m hard pressed to remember them all. The list was pretty simple. …let’s see if I can recall … I know there was a bodyweight in the low 240’s – I don’t particularly care where, 242 ,243 – even 244. I just know I feel pretty good physically at that weight and have a lot more clothes to choose from. Running a sub 10-minute mile at the Macklind Mile run was another goal. oh, and another 100 mile month of running training like I did last August. One of the reasons I’ve thought of doing a VLOG in the past has been to keep track of what I’m doing. When I started again this year with the DietBet & HealthyWage type of competitions I had a hard time remembering exactly what I did last year to drop 72 lbs in 12 weeks. I remembered one competition I logged close to 100 miles walking in the first two weeks and this last competition was more focused on eating less and staying calm. Honestly, the whole notion of diet & exercise, certainly in the traditional sense most people think of those words is rather repulsive to me. 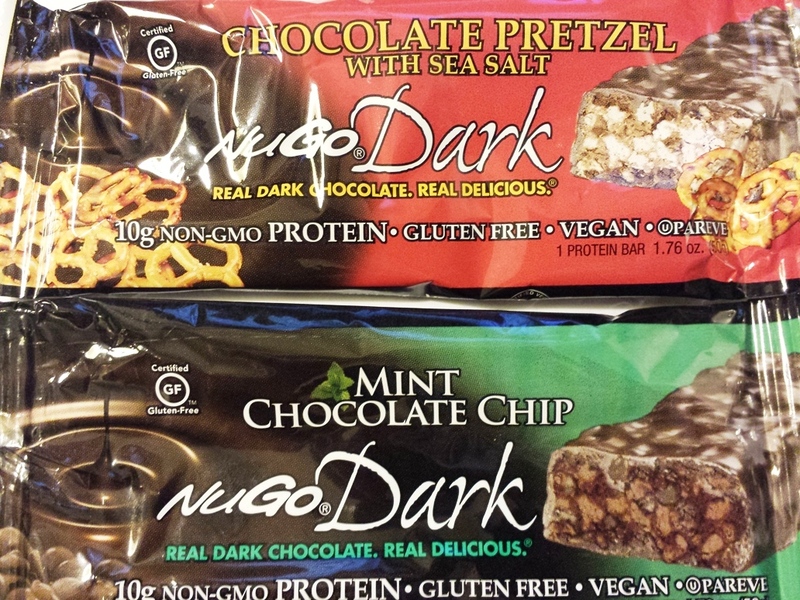 I don’t have any particular diet I follow. I’ve learned a little bit from a friend who was a big advocate of the Atkins diet and I could easily feel how avoiding traditional breads and other tasty complex carbs/starches helped me to not feel so full after eating but, by and large, there is no particular diet I follow. 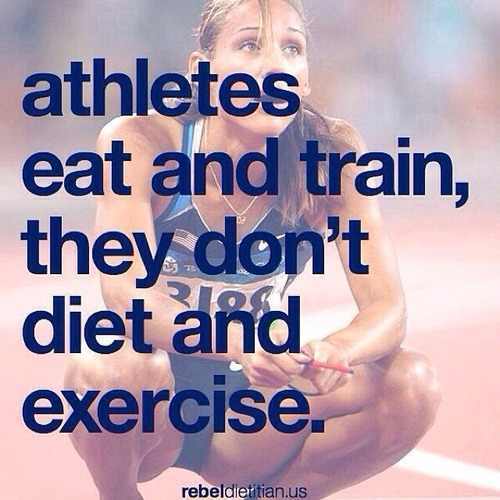 I eat. I learned more about the quality and nutritional values of foods last year when I logged everything I ate into an app called MyFitnessPal. I kept that up for maybe the first 3 weeks of my 12 week contest last year and that provided enough awareness to help me win that contest. On big key to success in transitioning to a lower weight is allowing myself to be hungry. 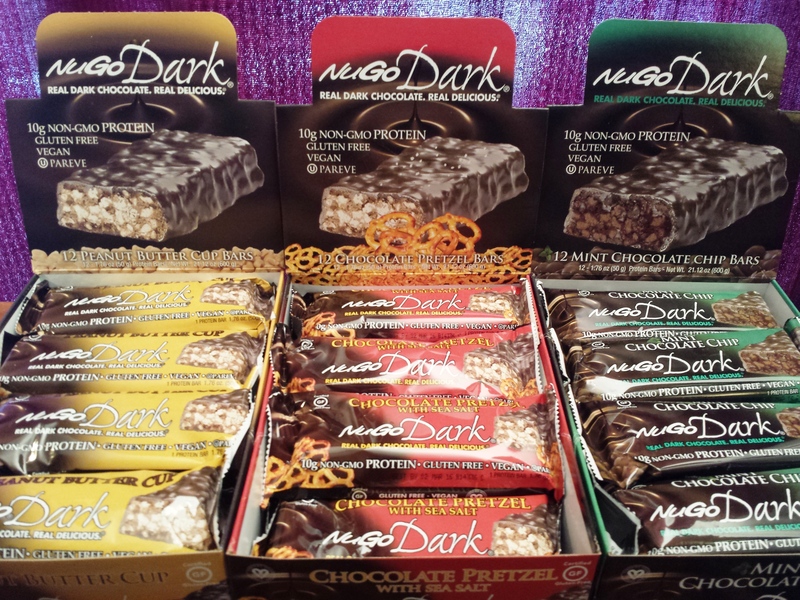 This is where staying calm comes in handy. One unique thing I did with MyFitnessPal was to break each day up into 4 hour time segments starting at midnight. Just take the whole notion of breakfast, lunch and dinner and throw it out the window then, whenever you happen to eat just log what was eaten in the appropriate time slot. There were many times during last years contest when I would eat after midnight. Sometimes I would eat some pretty healthy portions – things like French toast and eggs – and syrup and butter. I logged it all. But, I made kind of a game out of it. A lot of times eating after midnight was part of the game because I wanted to keep a certain days number of calories at a certain level so I would wait until the next day. Sometimes, I would try to make sure that I wasn’t eating in adjacent 4 hour time slots. Maybe more importantly however, was during the few times I ate after midnight, I was very legitimately hungry – no doubt about it. Tracking everything one eats can be kind of a hassle so I did not eat out of boredom or just to pass the time when I ate it was from legitimate hunger and not habit. Another interesting thing was after eating whatever I may have been craving (usually carbs) I didn’t worry if a lot of time passed until the next meal. Often 12 or 18 hours or more would pass until the next time I ate. On two occasions 36 hour passed. I never worried about the time passage. Some of my original thinking regarding not eating for significant amounts of time came from co-workers at my last job. Some were very lean and it wasn’t uncommon to hear them mention during the afternoon that they hadn’t eaten since yesterday. ..and they were lean. Eventually, this lead me to PubMed to investigate further. PubMed was a website often referenced while in school. The latest article in Cosmo or People magazine just didn’t cut it. PubMed (http://www.ncbi.nlm.nih.gov/pubmed) is from the US National Library of Medicine, National Institutes of Health and consist of peer reviewed biomedical literature and science journals. It’s NOT fluff and it also isn’t necessarily the easiest of articles to read but, it is one of the best scientific resources for pretty much any medical condition. This search led me to a number of articles on VLCD’s which is an acronym for Very Low Calorie Diets. One traditional argument against VLCDs is that a person will end up losing muscle which, in turn lowers a person’s resting metabolic rate and therefore has a detrimental effect in the long run with regards to weight loss or maintaining lower bodyfat levels. However, the article I ran across noted that 77% of the weight loss by test subjects utilizing a VLCD was, in fact, fat. At this point, it’s probably worth noting that people with higher percentages of bodyfat will tend to utilize greater portions of fat for energy so, while a person with a BMI > 40 might metabolize 77% bodyfat in a VLCD, that doesn’t mean an individual with a BMI of 22 will have that same percentage. There may be some real advantages to having a structured eating routing such as breakfast, lunch and dinner for those individuals who are already at a weight they want to maintain but I don’t necessarily subscribe to that notion for overweight people who are actively working to drop weight. People also need to have an awareness of their own bodies. Wanting to eat something for the sake of eating something and no other reason than because maybe it looks good or might bring some immediate pleasure due to the taste is one thing. Wanting to eat because of hunger is another thing and wanting to eat because you’re so hungry that you’re actually getting dizzy is yet another thing. I do my best to avoid the getting dizzy aspects of hunger. I remember another impetus for checking out the VLCDs. Last year the HCG or Human Chorionic Gonadotropin hormone diet was getting a bit of attention and I had a few friends that were actually on that diet but I quickly learned that part of that diet consisted of not only ingesting the HCG but of also following a 500 calorie a day diet. Well, heck, I can give you a sugar pill but when combined with a 500 calorie a day diet most people are doing to drop weight pretty rapidly. I was ravenously hungry this past Wednesday. I lifted weights that morning and squeezed in a frigid 1 mile walk in the evening. I did eventually cave Wednesday evening and had one of those vegan bars but, for the most part, I told myself that I would be having a pizza the next day. It was sort of one of those Denis Waitley advocated mindset things about doing within while doing without. So, I kept telling myself I’ll be having a pizza the next day and I did. But, once again, there is a big difference between picking up two large supreme pizzas from Little Caesars on the way home from work and devouring those with a few 2 liters while watching television and simply having a medium thin crust veggie pizza for lunch. 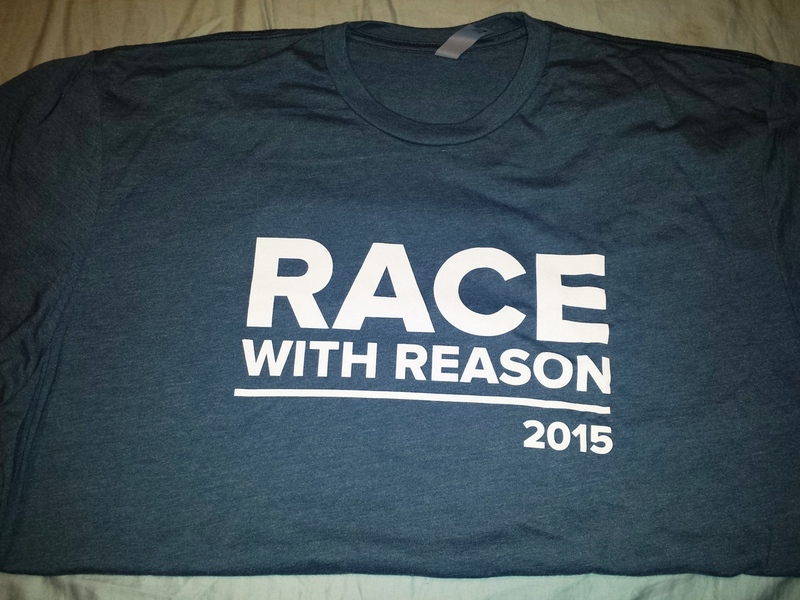 I was so excited about my upcoming DC trip and Race with Reason that I completely forgot to post my week 7 weigh-in last blog. Before these betting contest on DietBetter.com I only weighed myself every Thursday but, lately, I’ve been stepping on the scale everyday. I guess it’s the money thing. I had dropped a bit below the 273.4 lbs mark which is the weight I needed for 3 of my contest so I ate a bit extra and have been solidly at 273.4 for several days. I know a week of working out can elicit about a 5 pound gain but, I’m not working out with enough volume to cause those changes – kind of being a bit careful and taking my time. About the only real concern I had was the $100 bet I have already in place for when one of my contest ends on the 28th of this month because another one starts that very same day so, if my weight is too low then it might be more difficult to drop the extra 4% that the contest requires. OR – maybe I need to look at it as more of the challenge that I need. I waited until these betting contest start to have any of them. I knew I was going to be doing something in January, I just didn’t know what. As of today, I’m down again to 271 and I would like to see 269 just because that was my average weight for February last year. If I drop down to 264 for the last couple weigh ins of this month then I’ll have a 269 average. We’ll see. 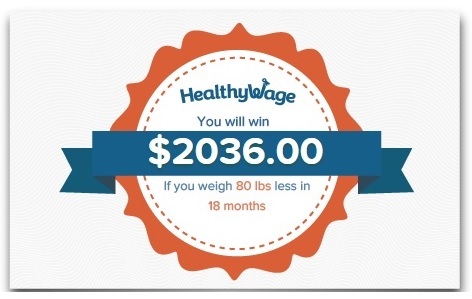 but… I have that $2,000 prize for the middle of next year for a weight below 212. That should be interesting and 3 of the 6 month 10% drops should just about do it. Something else – the gym I’m going to has a couple of Omron body fat analyzers laying out on their front tables which I’ve used the last few times I’ve been to the gym. Kyle, another blogger on here mentioned some races with Clydesdale classes – basically a weight class for runners 220 and over. 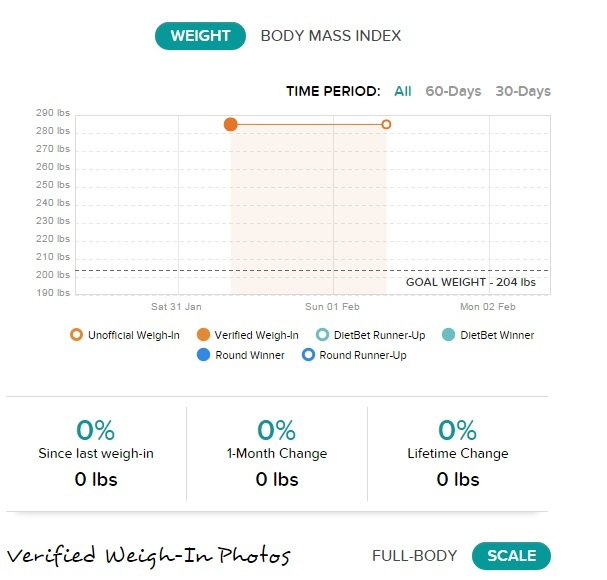 I’m pretty sure, at most any bodyweight at or below 220 that my % of bodyfat has measured in the teens which is ideal according to most charts (specifically bodyfatcharts.com) so I’m curious what the body fat analyzer will say when I’m down to 220 lbs. Washington DC Navy Air Force Half Marathon Preview Earlier this year, I was indulging in my rich fantasy life by spending money on winnings which I hadn’t actually won yet by checking out various vacation destinations to be used as part of a reward system for effort which hadn’t actually happened yet either… I was checking out the Las Vegas Rock n Roll half marathon and think I may have mentioned it in a previous blog but, I also wanted to check out places I’d never been before and one of those places is Washington DC. 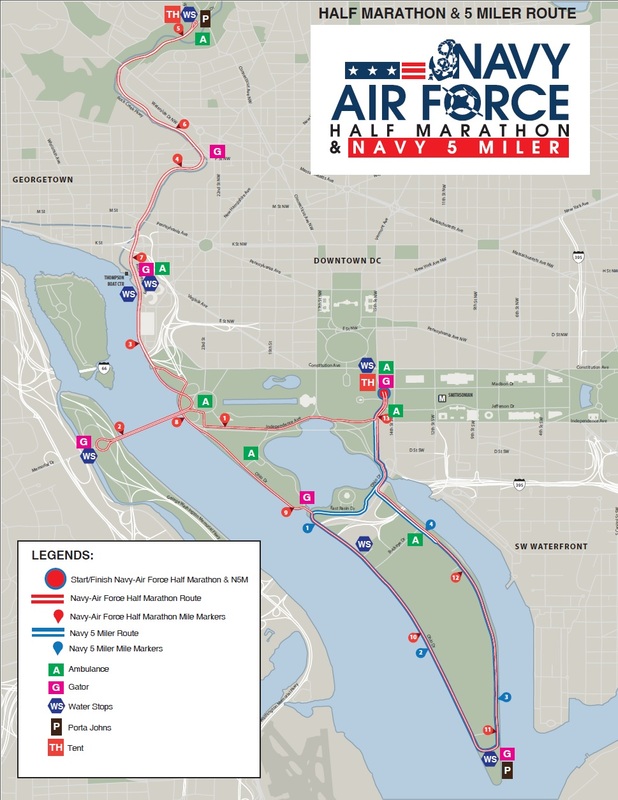 I found a pretty cool looking run in the DC area called the Navy Air Force Half Marathon and Navy 5 Miler. For somebody, like myself, who has never been to our nations capital, this is a perfect run. 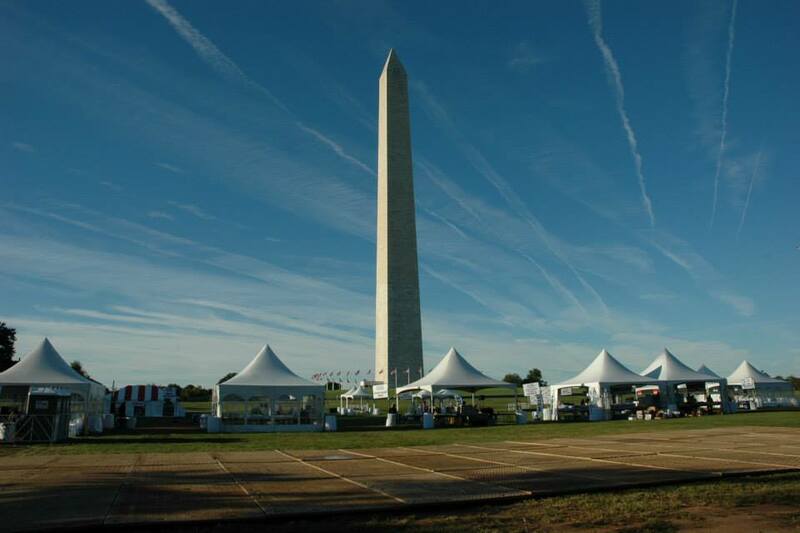 The run actually starts at the Washington Monument just South of the White House then goes past the Lincoln Memorial, MLK Memorial and the Jefferson Memorial. A good portion of the run is along the Potomac. The beginning of the run will also take us across the Potomac on the Arlington Memorial Bridge. I’m pretty stoked about this run and have signed up and booked a flight 🙂 The registration opened on Feb 2, 2015 and the race accommodates 7500 for the 1/2 and 2500 for the 5 Miler. Below is a jpeg version of the pdf course route. 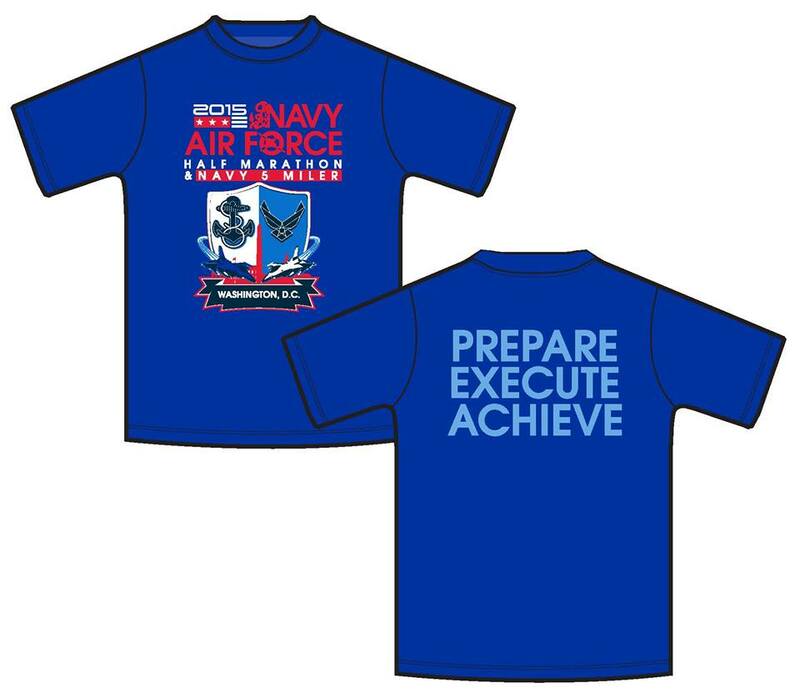 From what I can tell, the ongoing motto for the run is Prepare, Execute, Achieve and is reflected on the event shirt. I’m keeping things fun, interesting and definitely upping my level of self awareness when it comes to my weight by placing a total of 7 different bets which now total $1,266.00. This could possibly be confusing and it’s taken a while for me to wrap my head around it all but, I guess that is part of what makes it all interesting. These money bets have been placed using two different websites so, I’ll take each one in turn. People are only allowed to make a single bet on this website once. The bet is to lose a certain amount of weight in a certain amount of time for a certain amount of money. The parameters are that the time frame is anywhere from 6 months to 18 months and the bets can range anywhere from $6 to $500 per month. The amount of weight to be lost is up to the participant. I’ve set a target weight of 212 lbs in 18 months or, by June 26th of 2016. Since any bet beyond $750 yields the same return – namely $16 per pound, I decided to minimize my risk (as well as upping my yield) by dividing that 750 by 18 months which comes out to about $41.67 per month. Only round dollar amounts can be bet so I’ll be betting $42 per month. There is an option to pay all the money up front or to make automatic monthly payments. I’m doing the monthly payment option. As long as I win this bet then it’s a pretty cool & very profitable kind of savings account. My personal payout badge is shown below along with my potential prize. At $42 per month, my total investment will be $756.00. That $2036.00 figure would be getting my original $756 back along with an additional $1,280.00. That’s a return of 169%. There were many factors that went into choosing a final weight as well as the time frame. Enough factors that would take up a very long blog posting in itself. In short, however, I picked the 212 final weight because …well, for one thing, it wasn’t nearly as scary as picking a 204 weight. But, a little over 10 years ago I know I was at a bodyweight of 222 when I benched 515 lbs. That’s about the only weight I remember from back then and 212 is at least within striking distance of that weight. I know at 222 there was still some flab that could have been trimmed so the 212 weight goal pushes me beyond a previous best without getting too ridiculous. The 18 month time frame was picked for a couple main reasons. A big reason is because of the other website where I’m placing bets and we’ll get into that in a bit but, another reason for the 18 month time span is to help maintain awareness of my weight. I know that if I don’t do something, like this blog for instance, that I simply won’t be thinking or caring about my weight and my weight will increase. I think this was pretty well demonstrated during the last couple months of December and January, maybe November too a bit. That $42 per month is also going to show up on my banking statement and that will be an extra reminder to pay attention to my health. This is a really cool website and a lot of fun. HealthyWage is great for making a big bet and being able to win some serious cash but it’s lacking in any kind of a fun forum to be able to interact with fellow participants. DietBet, on the other hand, has an Activity Wall for each game which is a lot like Facebook but it also has a lot of other features which makes it even more fun for people working to improve their health. There’s literally so much, I’m not sure where to start. There are two basic games which can be played on DietBetter.com, one is called the Kickstart and the other is called Transformation. The objective for this game is to lose 4% of your body weight in 4 weeks. It’s commonly referred to as DB4 which refers to the Diet Bet 4% game. There are dozens of DB4 games to choose from on the site. Some have a hundred participants and some have thousands. The most common wager is $25 to $35 per person. At the end of 4 weeks, everybody who lost 4% splits the pot. I’m currently in three of those games right now which all end between Feb 28 and March 2nd. Two games are for $30 each and one is a $100 game. The hundred dollar game is called Bet Big to Win Big and has 130 people in it. Another game I’m in is called ObesetoBeast. It has 578 players and the guy hosting that game is somebody who lost 170 lbs themselves. Their theme is Obese to Beast, hence the name of the game. The largest DB4 game I’m in is called …(I’m almost embarrassed to say this) the Blogilates Hot Body Challenge. In spite of the name, it’s got 4,718 players and a total jackpot of $141,540.00. So far, all us players have lost a total of 4,654 lbs. This game involves dropping 10% of your bodyweight in 6 months. The game consist of 6 one month rounds with a specific weight drop objectives each month. The gray diamonds in the graph below represent the specific goals for each month. For each month the cummulative weight loss goals are 3%, 6%, 8%, 9% then 10% for the final two months. 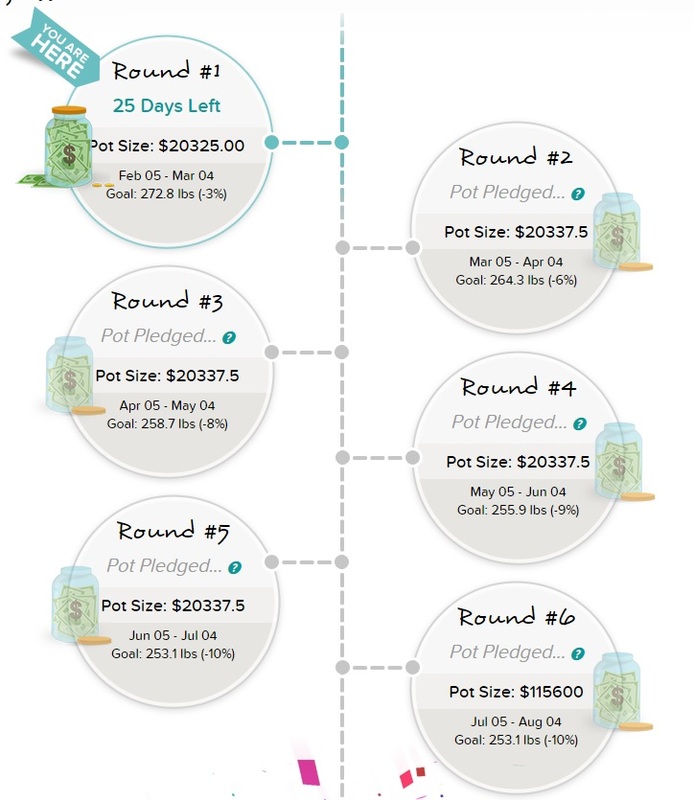 From what I understand, half of the total pot is split up between the first five rounds with the remaining half divided up at the end of the 6th month. Below is a screenshot from the Feb 5 to Aug 4 Transformation game. It’s what each player sees on their dashboard. I’ve never done anything before with specific weight objectives and these are pretty reasonable goals to obtain. When I looked back over my data in last years 12 week contest, I threw out the weight losses in the first and last weeks to consider only the data in the middle 10 weeks which represented the most legitimate weight loss and that came out to 32 lbs in 10 weeks or, 3.2 lbs per week so, even half that effort should keep me in line with the above goals for each round. So, right now I’m in three DB4’s and two DB10’s. You can join a DB10 game up to 14 days after it starts and do a verified weigh in up to 48 hours before a game starts. The 14th day of a 6 month game that started Jan 21st just happened to coincide with 2 days before the Feb 5th game started so I joined them both. Also just signed up for another DB4 game which starts on the same day as one of these other 4% game ends which will make for some totally legitimate weight loss since I’ll be using my ending verified weight for one game as my beginning verified weight for the next game. All in all, it’s a really cool & fun site. I’ve tried to clean the wallpaper up a little for 2015 by having one single month per line. I’ve added in all the various bets to help keep track of them easier. Most end around the same time so it shouldn’t be too difficult. The black borders along the sides are so my desktop icons are easier to see and don’t obscure the weigh in data. It’s sort of like a fun game and doesn’t take too much time per day. I’m currently at level 10 in German with a vocabulary of 308 words. I’ve also played around with French, Italian and Spanish but am really anticipating the completion of Russian which is currently at 62% completion. For now, I’ve been working at developing some proficiency with the Russian alphabet which has 31 characters plus an additional two symbols which designate either a hard or soft sound. Memrise.com is the site I use for that.